Detail oriented. On time. Exceptionally professional. 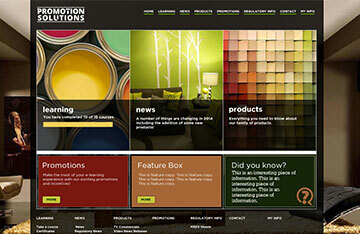 Promotion Solutions is the only Promotional company I would ever work with. They are not only great people, and great to work with, but the leaders in their field. Over the past 9 years I have not only worked solely with Promotion Solutions but recommended them to countless colleagues, agencies, and brands. In all my years of experience working with Promotion Solutions I have found that they are a pillar of honesty and trust.  I would not hesitate to recommend all of my associates to Promotion Solutions. I have always put my trust in Promotion Solutions to get the job done correctly and on time. I have had the pleasure of working with the team for the past 6+ years and look forward to many more to come. It is terrific to work with an organisation that is able to adapt to our needs so readily and effectively. The partners and staff are exceptional and show a willingness to ensure all objectives are met. I look forward to continuing my relationship with Promotion Solutions and have no hesitation in recommending them to another company. 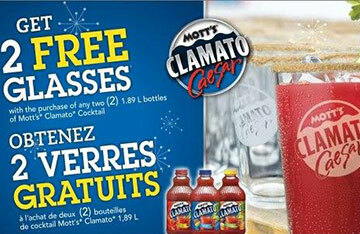 Over 30 years experience in Promotional Execution for Canada's biggest brands. After thoroughly analyzing our clients’ current process, objectives for future growth and “wish list”, executing focus groups as well as research and development; PS created the solution that has exceeded our clients’ expectations and assisted in growing its business. PS designed and developed an online product ordering and rewards system (“VIP”) that allows our Client to communicate directly with each franchise Customer throughout the year. 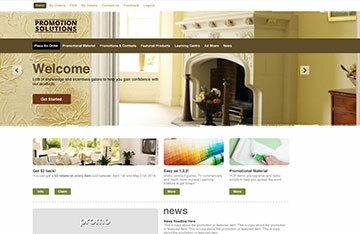 Customers have the ability to view products and promotions, as well as place orders at any time. Our client has the ability to provide incentives, sell products and implement promotions to specific customers, groups of customers or the customer base as a whole. The ability to order products at any time, online. The ability to view past orders, re-order while making adjustments for the coming season. The ability for our clients’ customers to view rewards status and redeem rewards directly online. The ability to initiate an order, save it and conferee with our clients’ sales team prior to submitting. In order to assist with the transition from an offline order form to an online order form and reduce the learning curve when the VIP system launched, PS developed a series of “how to” videos that provided Customers with information on how to navigate and utilize VIP. This system has separated our Client apart from its’ competition, provided Customers with incentives to purchase our Clients’ products, increased the ease of ordering products from our Client over its’ competition, decreased the time sales representatives are required to spend with each Customer at a trade show, and provided our Client the ability to track orders and users activity leading to targeted sales activity and ultimately increased sales volumes.  Husqvarna was interested in expanding their presence in the market place by providing incentives to consumers through premium and rebate offers. 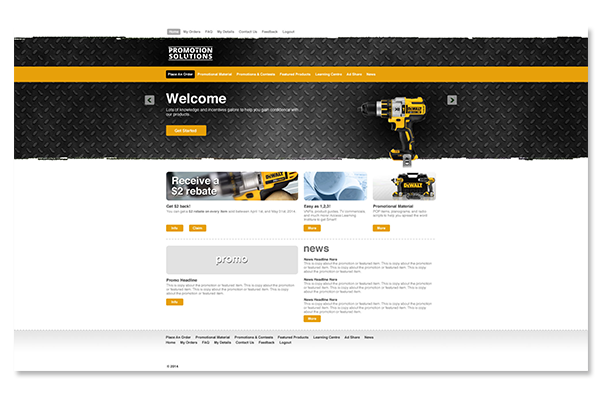 Promotion Solutions challenge was to create an easy and effective manner for which consumers can claim an offer online while also providing a cost effective solution to Husqvarna. 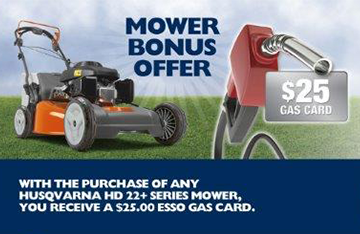 A premium offer & rebate offer were created in which consumers would be directed to Husqvarna.ca to generate traffic back to the Sponsors website where there is a link to the promotion microsite hosted by Promotion Solutions. Consumers would complete their information at the microsite and would also receive a unique barcode. This would serve as the consumers claim form which when mailed in and received by Promotion Solutions; would then be scanned and matched to the consumer’s information from the microsite. The online claim form created an easy and effective manner for consumers to complete their information while also decreasing the costs of processing each claim as well as decreasing the cost of in-store tear-pads. By providing Husqvarna with our services from the conceptual stage, Promotion Solutions was able to guide the Sponsor in the right direction with regards to how to achieve their goals and create a positive brand experience for the consumer while also providing a cost effective solution. 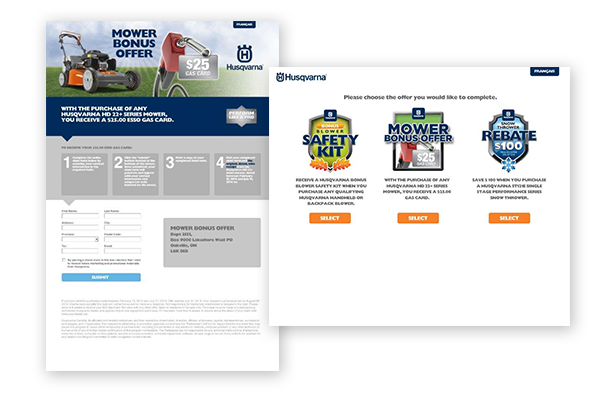 In providing a “one stop shop” for all of Husqvarna’s rebate & premium needs, Promotion Solutions developed the concept, artwork & online premium site and also executed the program through processing the claims, consumer inquiries and all premium & rebate fulfillment. Consumer inquiries were also reduced due to Promotion Solutions online rebate or premium consumer look up system. 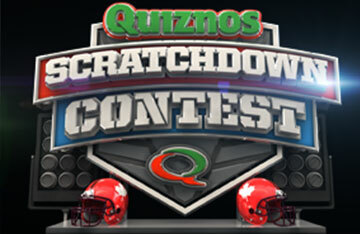 Quiznos approached Promotion Solutions to assist them in the development of a national campaign. Quiznos’ goals were to create hype in store & drive consumers to the Facebook site to gain “likes”. Promotion Solutions challenge was to create a complete solution incorporating 3 million prizes into a scratch & win promotion whilst keeping in mind the goal of increasing “likes”. 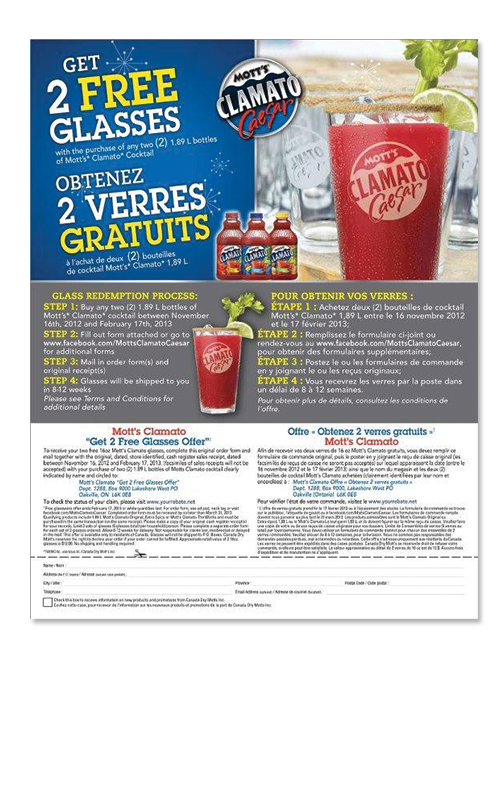 A national instant win promotion and national sweepstakes promotion were conceived and both promotions were housed on the Quiznos Canada Facebook Page. 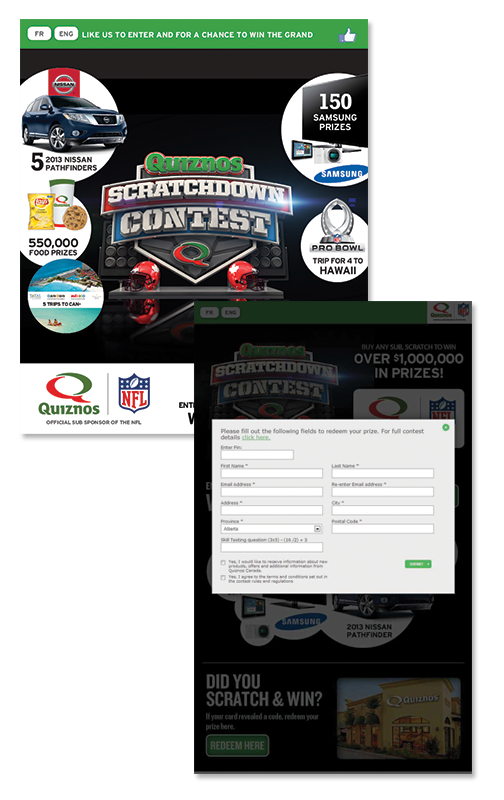 In-Store scratch cards were developed to reveal the prize which directed customers to then visit Quiznos Facebook page, like the page, and redeem their prize through an application. Promotion Solutions created the Facebook Application in which customers could redeem their instant win scratch card prize and/or enter the national sweepstakes promotion. Online Contest banners were also created to drive consumers to the Facebook page to enter the national sweepstakes promotion which in turn advertised the instant win promotion steering consumers to Quiznos restaurants in order to receive their instant win scratch card. National television media and in-store POS materials also helped drive consumers to the Facebook Page. Within the first 2 weeks, Promotion Solutions was able to assist Quiznos in doubling their Facebook “likes”, achieving positive results for the Sponsor. From the conceptual stage to the execution and fulfillment of the promotions, Promotion Solutions provided a “One Stop Shop” for all of Quiznos’ contesting needs. By utilizing Promotion Solutions from beginning to end, Quiznos benefited from Promotion Solution’s industry knowledge and services for the development of the concept to drive consumers to the Facebook Page and generate hype in store, creation of the scratch cards, creation of the Facebook application, and winner declaration & fulfillment. Promotion Solutions’ (“PS”) client (“Client”) is a consumer packaged goods company with a beverage division that needed to boost sales during the holiday season and winter months as its’ products are primarily purchased during summer months. The Client was looking for a way to provide consumers an incentive to purchase its’ products during the winter months. The Client also had a supply of branded merchandise that could be used to incentivize consumers into purchasing its’ product. PS developed and managed a mail in offer program that required consumers to purchase two of the Clients’ products and mail in a claim form along with a sales receipt as proof of purchase. PS developed the terms and conditions, managed the receipt of consumer claims, processed the claims and fulfilled the consumer claims using the Clients’ premium items stored at PS’ warehouse. PS also set up an online system that allowed consumers to check the status of their claims as well as a 1-800 number that consumers could call if they had any questions regarding the status of their claim. The program ran for a total of 4 months and over 20,000 consumer claims were received, by far exceeding the Clients initial estimate of 5,000 claims. Upon completion of the program, the Client was able to learn more about its target market’s demographics as well as add to its e-mail database which allowed the Client to easily reach out to its’ customers. Promotion Solutions’ (“PS”) client (“Client”) is a CPG company that sells its’ products in a variety of retail channels throughout North America. Due to the competitive nature of its category, sales depend greatly on each retail employee’s product knowledge, as well as their preferred brand to recommend. Due to the fact that each retail channel has its’ own policy regarding contacting its’ employees, providing employee lists to manufacturers or allowing employees to earn incentives, PS Client was in need of a solutions to achieve their objective. Gather a retail employee database across channels. Communicate with retail employees on a per channel, all channels, and per province basis. Provide incentive to retail employees to complete the training. Maintain the flexibility to change and grow year over year. Utilize a robust administration and reporting system that provided insightful analytics and system control. Have everything in one intuitive, user friendly system. PS met with its Client to discuss all of their frustration and develop a “wish list” for features. PS then analyzed all of the information and began work on a strategy, system wireframe, budget and work back schedule. After review and approval with PS Client, PS began programming and recording of the videos. The launch strategy included PS Client negotiating with the retailers to allow for an employee registration reward. PS sold this concept based on the fact the retailers would benefit from a more educated retail staff, which would drive repeat business. The majority of retailers took part in the promotion 85%. PS designed, printed and distributed a “break room” poster that encouraged employees to register and advised of the bonus. In addition to the registration bonus, PS implemented a training completion incentive. In addition, employees who completed the program received a certificate of acknowledgment; which typically ended up being proudly displayed in stores. Retailers that did not allow the incentives still saw the value in employee training. For these retailers PS implemented a “version 2” of the “break room” poster that promoted the benefits of the website and training, without advertising the rewards. To avoid promoting the rewards to these retail employees online, the rewards were available based on the locations that employees registered for; keeping all employees satisfied as they were not aware if they were missing out. PS implemented a number of tactics within the website to ensure that the system could not be manipulated, and that activity tracking was robust and insightful for the purpose of increasing the knowledge for improvement opportunities in the systems future. PS managed all aspects from strategy to design, website development, printing and distribution of promotional materials, sourcing and purchase of rewards, rewards fulfillment, production and creation of videos and quizzes. We specialize in all types of branded items. We can put your logo on anything and make it your own! Whether it's a wearable item or a customized specialty piece made exclusively for your brand… we can do it. 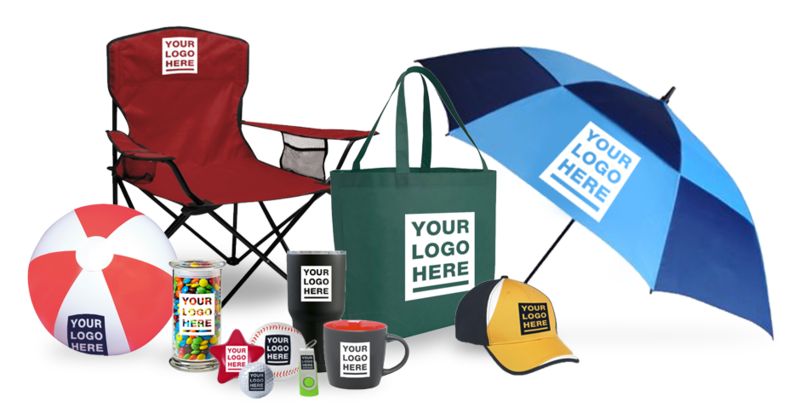 Our management team has over 30 years of industry experience offering a turnkey promotional product solution. 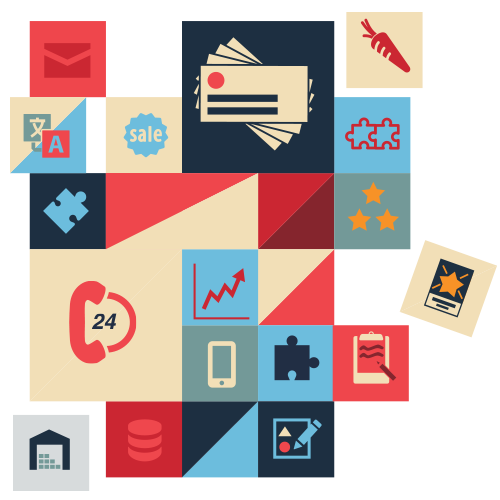 Promotion Solutions was formed in 1995 with a unique business model, to provide the very best fulfillment services at the most economical rates. Our business model and service plan have been clearly vindicated by the continuing support from many of Canada’s leading companies, who recognize the expertise and value Promotion Solutions offers. However no matter how successful, we will not rest on our laurels, but will strive to be even a better supplier to our faithful and prospective clients. Promotion Solutions continues to grow and evolve since 1995. We still work with many of our very first clients, because they know we have the experience, passion and integrated solutions to ensure their objectives are achieved. We wake up each day with a sense of pride, knowing that our clients think of us as a trusted extension of their team. Whether in Canada or the US, our clients entrust us & our experience to ensure their promotion runs smoothly and flawlessly. We take the time to guide you through the process; we protect you, our client; we understand any implications; and, we surround ourselves with the most knowledgeable stable of confidants. The future looks bright and we want you to shine along with us. Marketing & Advertising veteran Michael Porteous is Owner & Partner of Canadian-based Promotion Solutions.  The family-owned firm was founded in 1995 by his father Drury Porteous to provide customized fulfillment services at economical rates. He began working there in 2002, and today, also serves as Vice President of Client Services. Michael has performed integrated solutions for numerous North American Fortune 500 brand name clients and works with clients ranging from manufactures, agencies and retailers. Throughout his career, he has gained expertise in the fields of Contest Management, Promotions, Fulfillment, Digital, Swag, and Coupon Redemption. Michael grew up in athletics, before transitioning to the entertainment industry (studying Radio Broadcasting at Mohawk College in Ontario) and then the business world—growing as a person and evolving his skill set. On the personal side, he enjoys fine wine, Sunday NFL football (San Francisco 49ers are #1! ), exercising and holds a WSET level 2 award. “I enjoy working with my clients sales and marketing teams. Clients have told me that I am seen as a trusted extension of their team, providing solutions that allow them to focus on what they do best”. “I like to keep things simple, easy to understand and clear to my client and the end users”; clients and colleagues describe him as easy to work with. Jason has always loved a challenge, whether attaining his B.Com in Marketing, moving from Montreal to Toronto to create new opportunities for he and his family, becoming a partner at Promotion Solutions or expanding Promotion Solutions with its latest division Brand Solutions, Jason continues to take on new challenges, work towards new goals and opportunities to grow. Olga Oleanovski is Co-Owner and Partner of Canadian-based Promotion Solutions. Olga joined the company in 2004. She has two decades of career expertise in accounting and finance. Her experience encompasses work throughout her native Europe, working with the State Revenue Authority, the oil and automobile industries, alongside one of the region’s largest revenue-producing chain retailers. Olga earned her Master’s degree in Bio-Sciences & Accounting in Europe and achieved Second Prize from a prestigious accounting competition funded by renowned business magnate, investor and philanthropist George Soros. After relocating to Canada, her achievements continued with the completion of an Accounting Certification program at Sheridan College in Oakville, where she maintained A+ honors in every program’s discipline. She then achieved the prestigious CGA designation, receiving Honors for the CGA National Examinations. 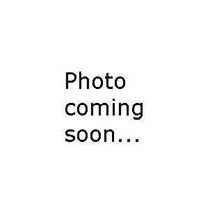 - underlines Olga’s business prospective. Ashley has been working at Promotion Solutions since 2012. Ashley works with both blue chip companies and agencies to execute various types of promotions including contests, incentive programs, mail in offers, etc. 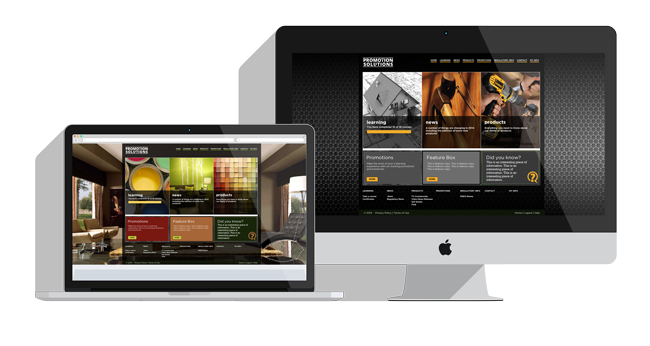 and to develop websites & online systems. She is knowledgeable and has experience developing and executing successful promotions with the overall goal of exceeding clients’ expectations by being responsive to their needs. Her favourite part of working within this industry is that no promotion is ever the same and there is a new challenge every day; there is no such thing as a typical day in the world of promotions! Ashley earned an Honours Bachelors of Commerce from the DeGroote School of Business at McMaster University and graduated with distinctions. In her spare time, Ashley is a volunteer dog trainer at the local humane society where she helps shelter dogs learn the necessary skills needed to become adoptable. Originally from Dublin, Ireland and known throughout the industry as the “go to gal” for Publicity Contests and Sweepstakes, Cathy has been with Promotion Solutions since 2007, working with many of Canada’s top advertising agencies. Over those years, Cathy has been responsible for working on some of the most successful contests in both Canada and the US, including writing rules, government filing, contacting winners and awarding Prizes. Cathy’s expertise and guidance has been known to eliminate any stress off her agency friend’s shoulders and allow for an effortless promotion. Outside of work, Cathy can be found taxi-ing kids (usually hers) to/from activities as well as spending a few hours a week playing clarinet with the Milton Philharmonic Orchestra. As Account Assistant at Promotion Solutions, Kathryn Walker provides knowledgeable insight to clients regarding their promotional needs. Dealing primarily within the contest department for the past 2 years, Kathryn has worked with all sorts of clients from small independent agencies to large corporate agencies as well as directly with companies trying their hand at Contests or other styles of Promotions for the first time. Kathryn is easy to talk to and is always happy to help clients by thinking outside of the box and creating the most efficient and cost saving solutions. Kathryn enjoys the simple things in life from throwing BBQs with friends to taking her dog for a hike and sometimes seeking a little adventure by going on snowboard trips around the globe. Kathryn’s easy-going personality mixed with her knowledge & drive always provides the client with the comfort that they are well taken care of. Steven has been working at Promotion Solutions since 2014. Working directly with brands as well as agencies to provide integrated marketing solutions, managing and exceeding client expectations is a top priority for Steven. A graduate of the Advertising Media Sales program at Humber College and earning High Honours from Sheridan College for the Marketing & Advertising Communications program, Steven brings a unique perspective when it comes to providing strategic insights for promotional executions. Whether it's traditional, digital or social media, Steven uses his knowledge to provide a suitable recommendation to his clients with any budget in mind. An avid sports enthusiast, particularly when it comes to the NFL and his team, the Oakland Raiders, Steven enjoys watching or playing almost anything. Steven also enjoys playing guitar, drums, bass and piano to a wide variety of musical genres. A francophone native from northern Ontario, Joan Chatfield joined Promotion Solutions in 2009 as a Bilingual Consumer Response Representative. She brings a wealth of consumer knowledge and problem solving experience to her role, and strives to keep all of our customers happy. Joan’s career began when she graduated with a BA in Food Nutrition & Consumer Studies at Ryerson Polytechnical Institute. With a relentless passion for helping people, she worked 10 years for Nabisco Ltd. as a Bilingual Consumer Response Representative. After taking a leave of absence to raise her two young boys, she re-entered the work force gradually by volunteering at her children’s school, as well as part-time work in retail sales.